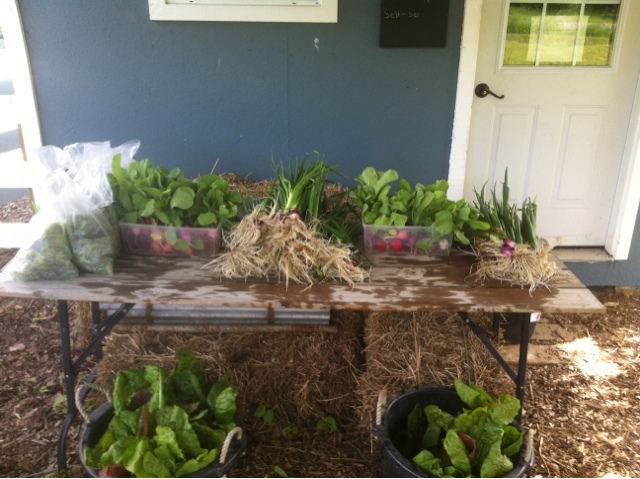 As part of our 2013 winter CSA program we are offering spring baskets this year. So this week is officially kicking off the start to our very busy season. 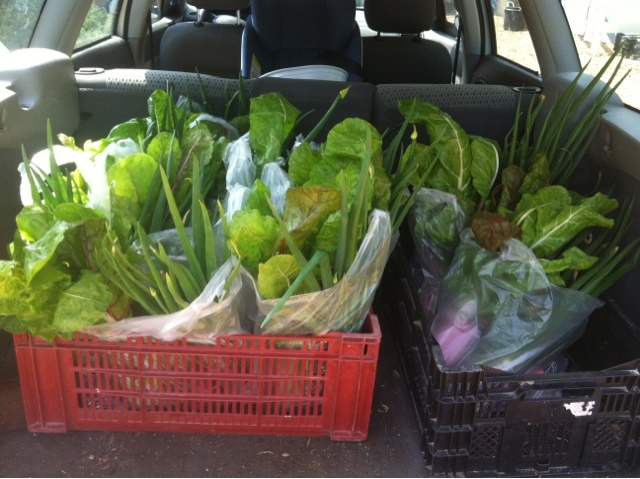 This week we have Rainbow Chard, lettuce,onions and radishes on offer. 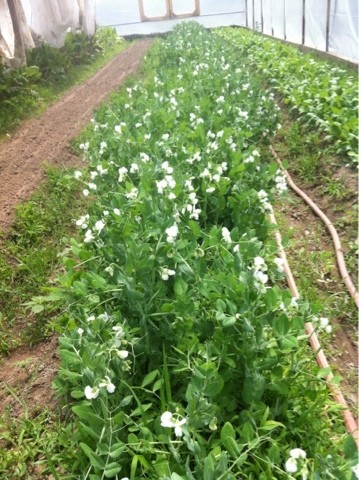 We are looking forward to next week when we will have our first snow peas of the season! 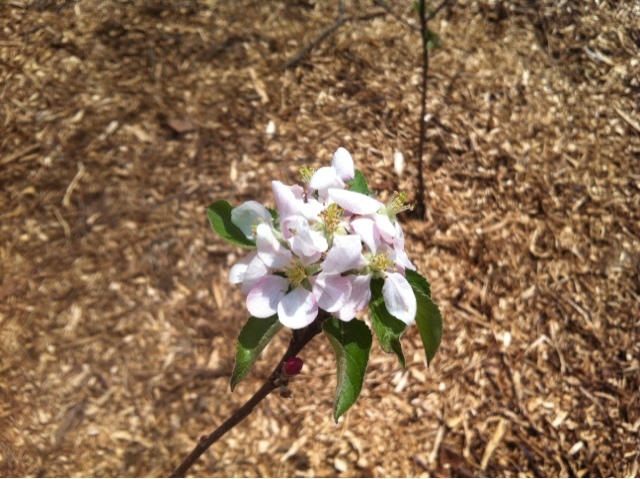 There are lots of blossoms starting to show up on our new apple trees as well which is very exciting. It's nice to see that they are growing well. Due to the unseasonably cool weather we have been having this year things are a little behind. This means that crops that we have planted have been sitting mostly dormant over the past number of weeks. Luckily the weather seems to be improving and we are finally starting to see some growth.